This Halloween, bring life to the mythical creature encased in this Golden Faun Half Mask. Made of polyester and plastic, the adult half mask measures 12 inches wide (antlers), 14 inches high, and 4 inches deep. The gold mask is detailed with gold braid trim; gold leaves along the sides and forehead; plastic diamond-cut gold gems; and topped with antlers. The mask features an attached elastic band for securing the mask in place. 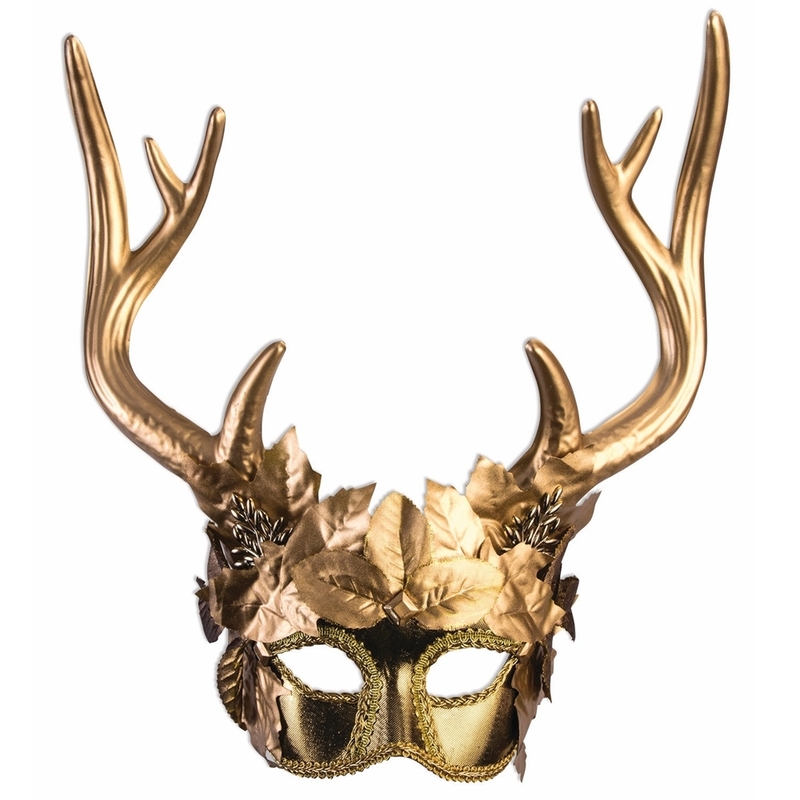 This stunning Golden Faun Half Mask is a fantastic piece for Halloween, masquerades or costumed events. 12 in. x 14 in. x 4 in.